The administration is trying to help Highmark collect attorney's fees. The Obama administration’s top trial lawyer wants to help a managed care company do battle with a firm that once sued it over allegations of patent infringement. 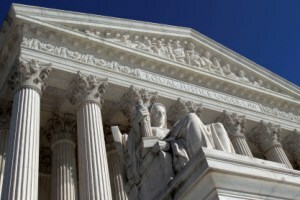 The U.S. Supreme Court has given Donald Verrilli Jr., the solicitor general of the United States, permission to appear at oral arguments and speak on behalf of Highmark Inc.
Highmark — the holder of the Blue Shield license in central Pennsylvania, and the Blue Cross and Blue Shield licenses in western Pennsylvania, West Virginia and Delaware — is trying to get Allcare Health Management Systems Inc. to pay $4.9 million in attorney’s fees and other legal costs. Allcare owns U.S. Patent Number 5,301,105. The patent, filed in April 1991, covers methods a managed care company uses to decide whether review of a patient’s use of medical services is necessary and whether a recommended treatment is appropriate. The patent also covers efforts to prevent authorization and payment before a reviewer has approved care. Allcare sued Highmark over alleged infringement of the patent in April 2002. Highmark won the legal battle, and the Federal Circuit Court of Appeals upheld the district court ruling. The district court then decided, in April 2010, that Allcare’s litigation had been so “vexatious” that the company should cover Highmark’s court costs. Members of the Federal Circuit eventually voted 6-5 to throw out the award of attorney’s fees, saying it should be able to review whether the original patent infringement case was baseless without deferring to the decision of the district court. A representative for Highmark declined to comment, and representatives for Allcare were not immediately available to comment. Brian Himanshu Pandya, a lawyer who wrote a brief supporting Highmark on behalf of the Blue Cross Blue Shield Association, said in an interview that he thinks a Supreme Court ruling in favor of Highmark could make patent owners think twice about how they behave in patent litigation. “I fully expect the Supreme Court to rule on this case,” Pandya said.